Mulcair, leader, father, Jedi Knight. 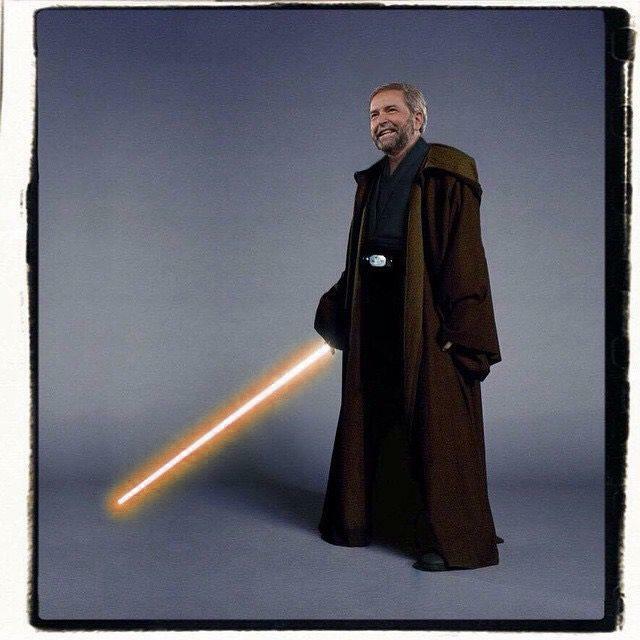 Mulcair has unleashed a photo of himself as Jedi Knight for Star Wars day, May the 4th be with you. Harper to Mulcair: "Tom I am your father! ", Tom "Noooooo!"